To think back my younger days, I remember as father to my three children, I was the most wanted in the family. I was the master of the home because I was the bread winner. I captured more attention than their mother. For whatever they wanted as children, as a responsible dad I didn't fail not to give to the kids. When they were little kids, I bought them toys. I took them to holidays and pampered them with gifts and clothing. When they were schooling, all their fees and pocket money were well taken care by me. They took me as a Santa Claus right up to their oversea studies. I had a lot of value those days, because they needed money from me. What about now? A bit sad because they no longer take me as a great Santa Claus any more. All my children are working and in turn they have to take care of their families. Whereas today, their mother steals the limelight and attraction from me. You know why? Because she knows the taste bugs of all her children, including those grand little brothers and sister too. Though she has no money to be given, but she understands and knows exactly what food and meals to be served and cooked for them. So even the children could be working far, they are always too eager to be with the mother. They know mother's food is always the best. And for me, I had nothing to offer to them now. So the best way to stay connected with my children is be their friends. A warning to the younger mothers of today. 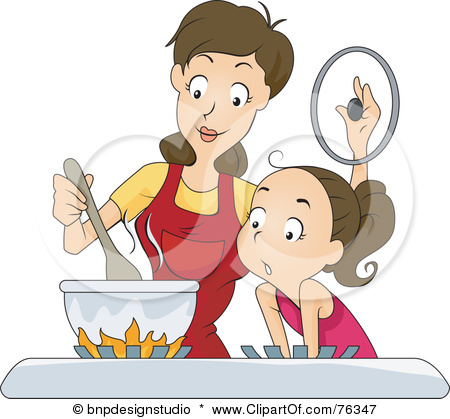 Please learn to cook as a mother. Otherwise later in life, you might have no secret weapon to hold the family together. I have two daughters in law who are professionals who do not know how to cook. I wonder what would be the outcome in another 15 years from today, when all their children have grown up. Well! That's not my responsibility any more. Specially for all mothers - "Mothers hold their children's hands for a short while, but their hearts forever."